After a five-hour standoff with police, the Planned Parenthood shooter in Colorado Springs, Colorado, was arrested shortly after 5 p.m. local time Friday. 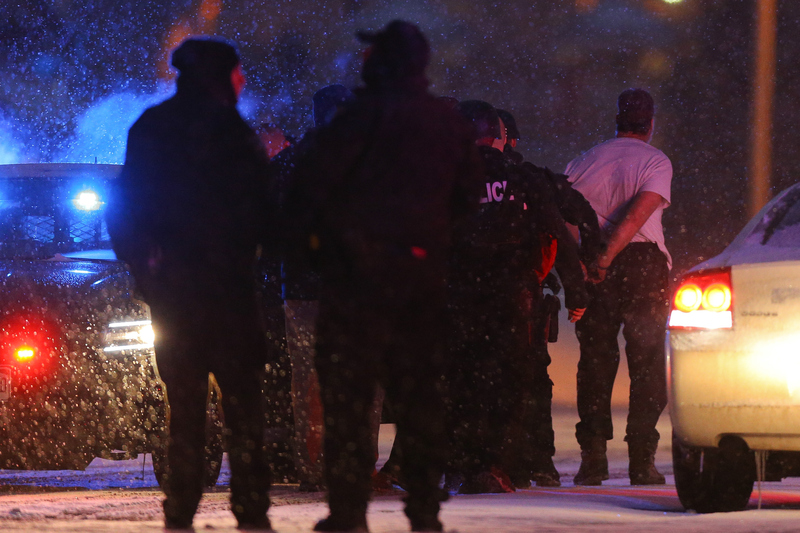 The gunman reportedly began firing at around 11:30 a.m. inside the Planned Parenthood building. Update: A law enforcement source tells CNN the shooting suspect has been identified as Robert Lewis Dear. Mayor John Suther confirmed the gunman, who has yet to be identified by police, was taken into custody alive. "The perpetrator is in custody," Suther told reporters. "The situation has been resolved. There's no continuing peril to the citizens of Colorado Springs. But there's a huge crime scene that has to be processed. We have to determine exactly how many victims there are. We'll be reporting on that in the near future." According to Colorado Springs police Lt. Catherine Buckley, a total of 11 victims, including five police officers, were taken to nearby hospitals for treatment. In a subsequent presser, the department confirmed that three people have died, one Colorado Springs Police Department officer, and two civilians. The shooting reportedly began inside the Planned Parenthood building at around 11:30 a.m. While the motive for the attack was not immediately clear, the women's health center has long been a target for attacks. Police said the building would still be treated as an active scene while authorities assess whether or not the gunman left behind possible explosives or other dangerous materials.